mum bought for me in Asda at only £3! It's so soft, like sleeping under a snow heap. 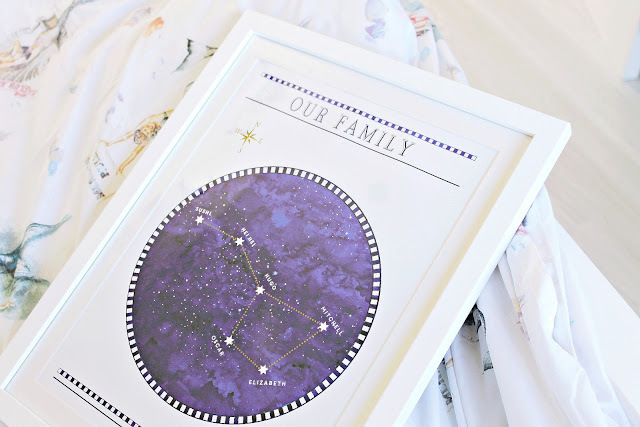 Another addition is this personalised Scandinavian style Family constellation print* from betsybenn.com, it's such a beautiful piece for the family home and perfect for winter, I can't wait to put it up once we have finished painting downstairs. You have the option of choosing a beautiful frame and the A3 size was so much bigger than I anticipated, the print is beautifully sharp and clear too. 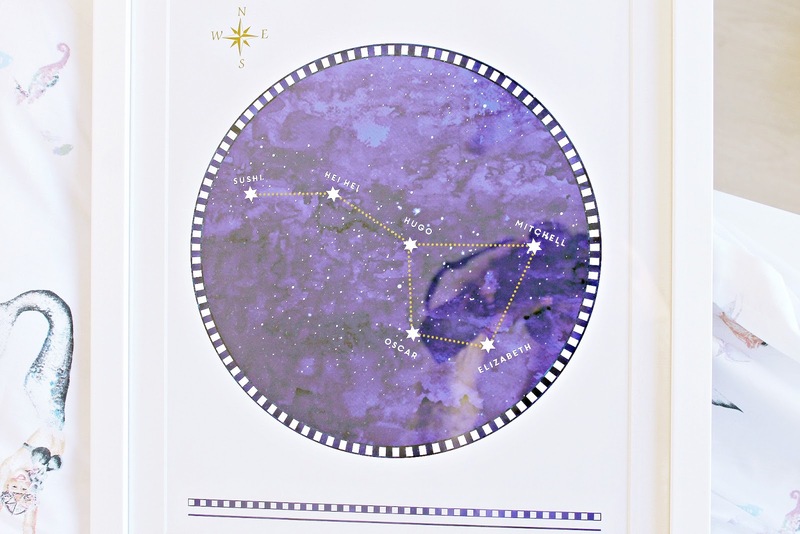 You can also select an A2 size if you prefer, choose any size constellation and have any number of names on it, so you can add your pets on there also! I added the names of our little rescue cat Hugo and gerbils Hei Hei and Sushi. We also recently acquired two gerbie girls called Molang and 'Meemoo' (Oscar named) I will have to order an extra with their names on crazy pet lady alert! 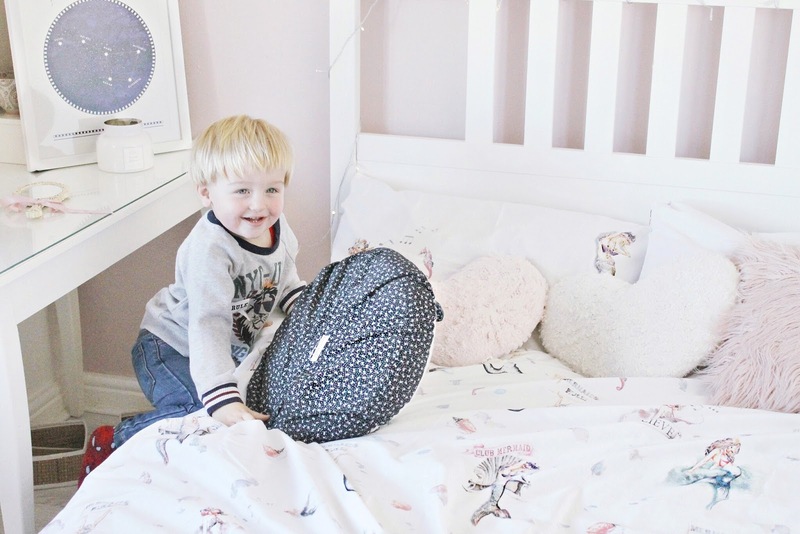 Oscar loves it so much, he has this thing about 'moon, stars and owls' and whenever it starts to get dusky outside he will run around the house, looking out the windows, pressing his little forehead against the conservatory door, going 'moooooon-darrrrrs' and often 'mun-dars-owls'! He loves to pick out the stars and letters on the print. If I can find a little kids telescope I will definitely pick it up for him for Christmas! That constellation print is so pretty! Such a lovely addition to a bedroom, and for some reason I find it perfect for autumn and winter decors. It would indeed make a great gift! 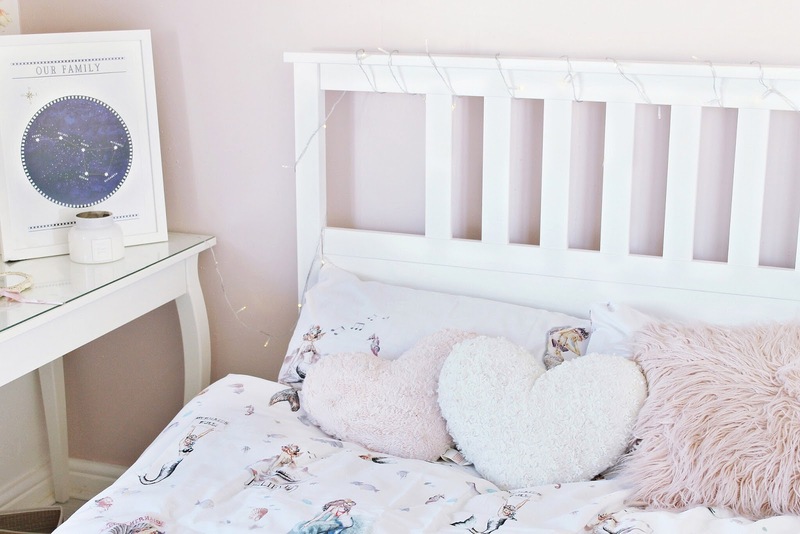 Your set from Asda is gorgeous as well, Asda often have amazing things in their home section! That print is so pretty! Also I just discovered your blog and I love it! Its so beautiful!